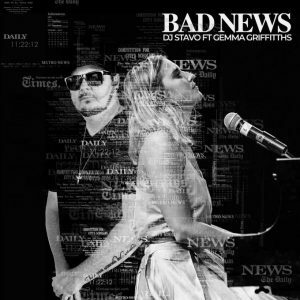 Popular Disc Jockey and music Producer Dj Stavo has dropped his first single of the year titled “Bad News” today. Dj Stavo features Zimbabwean born pop singer Gemma Griffitths in this new house banger. The Dj had announced a few days ago online that he would release his single on Friday and urged fans to retweet and spread the news about the release of his new track. 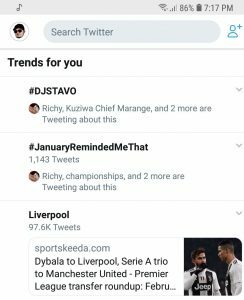 The single is receiving hype on social media as it is trending on local twitter trend. In a telephone interview today with Dj Stavo he said he has received great reactions from his fans. He added that people should expect a lot of house music this year as he plans to collaborate with local and international artists. Dj Stavo is a popular Zimbabwean Dj, Afro-Jazz artist and music producer who has become the most in-demand in all of South Africa. He has a reputation for being able to entertain a diverse crowd in the clubs. He has worked with a lot of local artists such as Jah Prayzah, Leonard Mapfumo and ExQ and regional artists like the late Mandoza from South Africa.